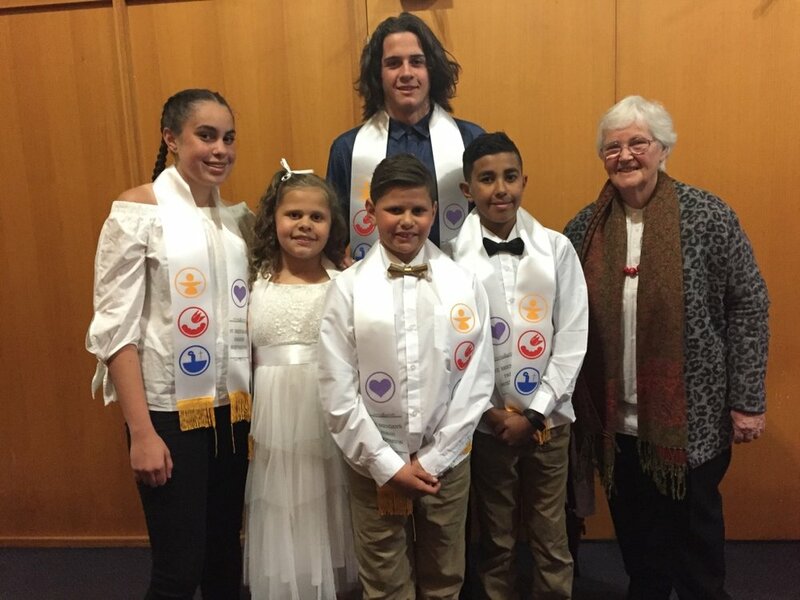 At St. Brendan's, our preparation for Sacraments are in line with Sandhurst Diocesan policy and is seen as a task that should be the responsibility of the Parish and families, while being actively supported and assisted at school. The preparation for Sacraments is now a parish based sacramental progrms with a strong emphasis on parental commitment and involment. The school supports the Saramental preparation of the children with daily religious education lessons. Children generally receive the sacraments of Reconciliation and Eucharist in Year 3-4 or when the child is ready. It is the parents decision when they want their children to receive the Sacraments. During the year we have a number of whole school Masses - Opening School Mass, Feast of Compassion, Feast of Assumption and End of Year Mass. Our Year 3-6 students attend the Parish Mass at 9.15am. Each class attends one day each week. Junior classes will often have class liturgies where parents are invited. At Asembly each Friday, different year levels take turns to organise prayer for the rest of the school.